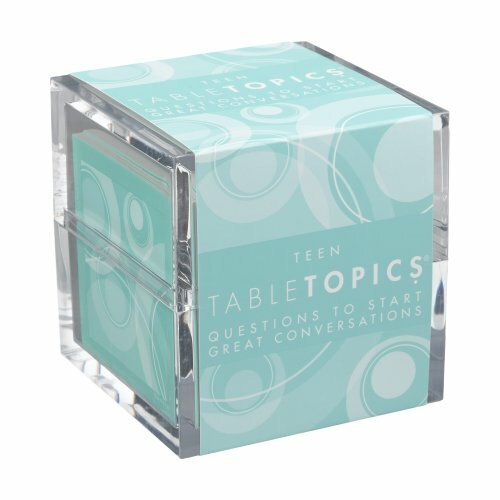 All kinds of table topics products, are listed for sale on our store! Are you hosting a dinner party or in need of a hostess gift? This dinner party game can be a gracious host's best friend. Get every guest talking, laughing and enjoying each other's company with this card game of fun, inspired conversation starters. Selling more than 2 million copies, TableTopics is the perfect card game for everyone in your group. Our family games are for all ages, featuring 135 questions displayed in a 4 inch acrylic cube. Guaranteed to entertain in even the most awkward situations, every question is perfectly appropriate for any combination of friends and acquaintances. Good food, good friends and great conversation. What could be better? Sample Questions : What's your most prized possession? What movie made you laugh until you cried? If you could be an ambassador, which country would you choose? If you could do something dangerous just once with no risk what would you do? Which celebrity chef would you most like to fix you a meal? 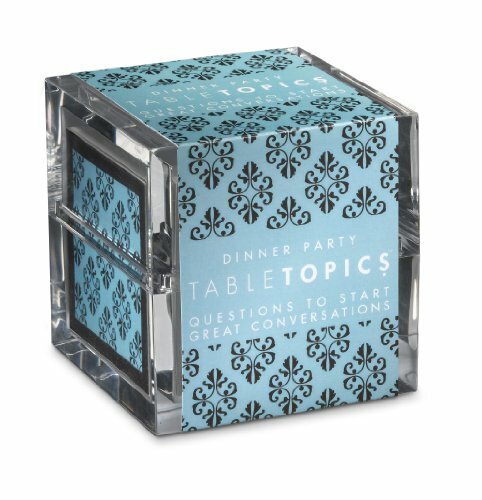 Whether the group you're hosting consists of lifelong friends, new acquaintances or a combination of both, Table Topics is just the game you need. Our tag line says it all, "Questions to Start Great Conversations." The party game consists of a deck of cards with questions on each and a theme to fit any occasion-Dinner Party, Not Your Mom's Dinner Party and Gourmet, among others. Find out things about your friends that you might never have known.